When we talked to Z-Wave last year one of the most interesting pieces of information that came out of the interview was the fact that their top selling products are door locks. Now Yale have brought their popular US smart locks to the UK and they claim their ‘Keyfree Connected’ is the first UK specific smart lock to be accredited by Z-Wave. The lock allows homeowners to integrate access control into the other areas of their home automation setup. It can be opened in a number of ways. From a PIN keyed into the unit itself or a wireless keyfob. In addition you can grant permanent permission or limited entry to your home using a smartphone app, ideal for family, visitors, cleaners etc. Yale employs Z-Wave’s AES 128 encryption for all of its communications between devices, providing the same level of security used in online banking. The Keyfree Connected’ Z-Wave Smart Lock is available now for around £500 (fitted). 4 Comments on "Yale Launch ‘Keyfree Connected’ Z-Wave Smart Lock in UK"
What’s the insurance situation regarding these locks in the UK? says on the Yale site that the £500 cost includes professional fitting service as well – but still does seem a bit pricey! When you consider the average cost of a locksmith is around £100 / hour (inclusive) and these installations can take anywhere from 1 – 3 hours to complete, the price of the hardware isn’t bad at all considering what you’re getting. 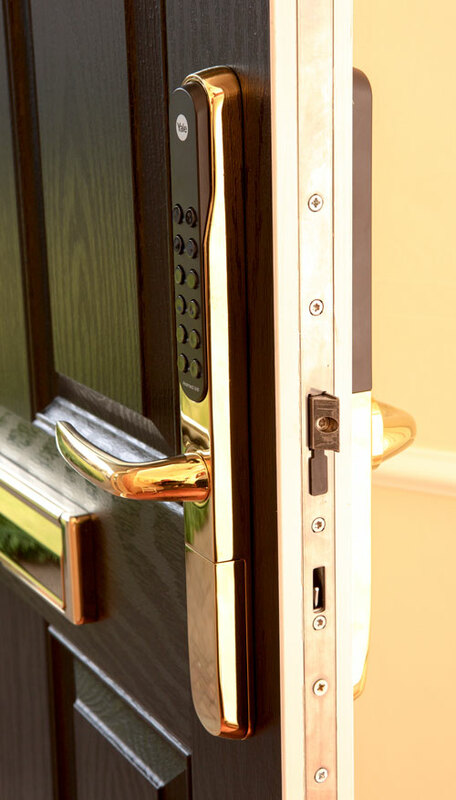 Bear in mind that other door hardware may need changing too in order to install the smart lock (such as replacing a uPVC gearbox mechanism with a Yale Doormaster Multipoint Lock which in itself retails at around £100, and this is included within the installation price). Doing this yourself from scratch is likely to cost far more if you don’t know what you’re doing, and you run the risk of damaging your own door in the process! As always it’s best to leave these things to the professionals.